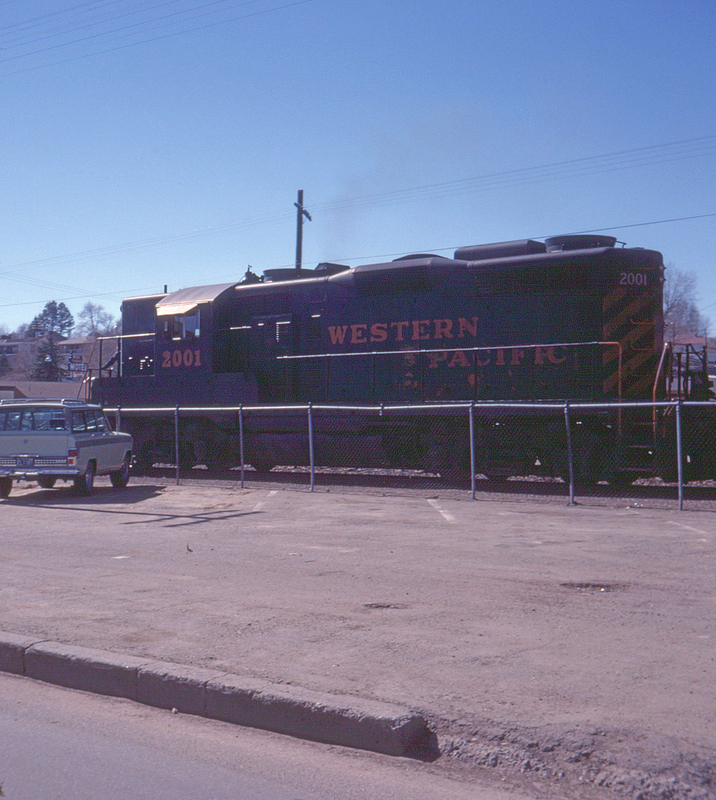 This Western Pacific unit seen at Elko, Nevada, is actually dark green and orange. Judging from the smoke above the stack, Geep no. 2001 is in active use, too.